Metabolomics is the examination of small molecules, commonly known as metabolites. Such molecules are typically found inside cells, tissues, biofluids, or organisms. The interaction of such small molecules in a biological system are known as the metabolome. Metabolomics is done on a large scale. Metabolomics is a powerful tool since metabolites and their concentrations directly reveal the underlying biochemical activity and condition of cells and tissues. The four conceptual approaches in metabolomics are metabolite profiling, target analysis, metabolomics, and metabolic fingerprinting. The swiftly rising domain of metabolomics consists of strategies to uncover and quantify cellular metabolites leveraging latest analytical technologies along with statistical and multi-variant methods for extracting information and analyzing data. The past 20 years saw impressive strides being made in the sequencing of numerous organisms. Massive amounts were also earmarked for building analytical approaches to study various cell products, such as those from gene expression, metabolites, and proteins. All such approaches, namely genomics, proteomics, transcriptomics, and metabolomics are crucial tools used to comprehend an organism’s and its reaction to genetic perturbation or environmental stimuli. Metabolomics finds application in determining gene function, phenotyping of genetically modified plants and substantial equivalence testing, and understanding responses to abiotic and biotic stress. Metabolomics thus bridges the gap between phenotype and genotype, offering an understanding of how cells function, along with uncovering of novel or striking changes in particular metabolites. Analysis and mining of metabolomic data sets and their metadata has the potential to bring about new hypotheses and targets for biotechnology. Metabolomics, however, is hamstrung on account of the wide array of chemical structures with no one technology present to study the complete metabolome. Hence, quite a few additional approaches have to be set for extracting, detecting, quantifying, and identifying the metabolites. Metabolomics refer to the study of the metabolites that exist within an organism, tissue, or a cell. Processes such as interpretation, quantification, identification, and profiling are used for the understanding the entire set of metabolites in a given biological system. This fairly new field of science is gaining attention as it is provides a comprehensive outlook of the phenotype of organelles, tissues, cells, organs, and whole organisms as compared to RNA, DNA, or protein profile. Soaring investments in both private players and government bodies in research and development of efficient metabolomics. The global market is expected to be supported by the continuous technological advancements and the untapped potential of the emerging economies. Furthermore, the increasing expenditure on biotechnology research and development has also had a positive impact on the global market. Metabolomics have gained a prime spot in the field of medicine has they offer a deeper understanding of way diseases function. Furthermore, they provide accurate protein profiling. Today, bioinformatics-based metabolomics are being used in clinical research, pharmaceutical research, plant and animal phenotyping, nutrition research, food and beverage analysis, environmental science, and biofuel development. Several market players are focusing on mergers and acquisition to acquire newer talent and expertise to their existing pool. Companies are also expected to resort to collaborating with smaller and local players to expand their geographic reach. In line with the same sentiment, Metabolon Inc. recently announced that will take part in a larger studies that using metabolomics to understand large population health issues. For the same purpose, the Company has joined hands with Alex Forrest-Hay, Vice President of Population Health. This move is aimed at the maximizing the value of combining metabolomics and genomics to determine the risk of targets and facts for developing preventive healthcare. Thus, the ongoing collaborations and joint ventures are being targeted toward studying health conditions of large groups of people over a period of time to gain a valuable insight of the nature of diseases, disorders, and various evolving conditions. The field of metabolomics is expected find ample of scope for growth in this area has it is known to deliver precision-driven results. From the geographic point of view, the global metabolomics market is segmented into North America, the Middle East and Africa, Europe, Asia Pacific, and Latin America. The report suggests that North America is slated to dominate the global market in the coming years due to a robust research infrastructure and a growing demand for personalized medicines. The high acceptance of technologically advanced products is also anticipated to support the regional market’s rise as a leading geographic segment in the global during the forecast period. The study mentions that Asia Pacific is also expected to crucial to the progress of the global metabolomics market. A huge pool of aging population, which brings with a range of illnesses has given the pharmaceutical companies in the region an edge over others. 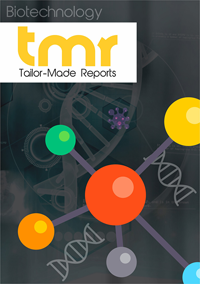 Additionally, the growing demand for improved healthcare and pharmaceutical products, investments in life sciences, and demand for access to healthcare facilities have collectively opened up new avenues for growth for the Asia Pacific metabolomics market. The chief operating players directing the progress and pace of the global metabolomics market are LECO Corporation, Shimadzu Corporation, Agilent Technologies, Inc., Bio-Rad Laboratories, Inc., Biocrates Life Sciences AG, Bruker Corporation, Thermo Fisher Scientific, Inc., Danaher Corporation, Waters Corporation, Human Metabolome Technologies Inc., and Metabolon Inc.